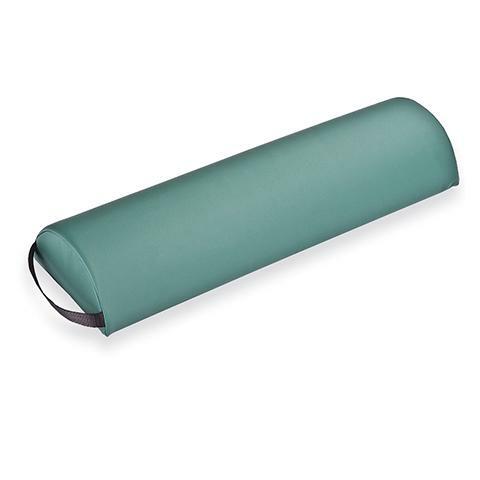 Stronglite Jumbo Half Round Bolster - 4.5" x 9" x 26"
4-1/2" x 9" x 26"
Stronglite warranties our portable tables and Ergo-Pro massage chair, excluding foam and vinyl, against defects in materials and craftsmanship for as long as you, the original purchaser, own the product, or for five years after model is discontinued. The foam and vinyl are warranted for 3 years from the original date of purchase. This warranty does not cover damage caused by accident, misuse or neglect, which includes tears in upholstery and damage caused by chemical based cleaners. This warranty is limited to factory-provided replacement parts, factory repair or replacement at the discretion of Stronglite. Our massage table accessories are warranted for 1 year from the original date of purchase against defects in materials and craftsmanship. This Warranty is limited to product repair or replacement, at Stronglite’s sole discretion, shipping charges are not included. All warranties are invalidated by non-factory modifications and unauthorized repairs, which will immediately terminate all liability by Stronglite for the product or damages caused by its use. The buyer and its customers shall be responsible for proper set-up, inspection, maintenance, and use of the products and as well as any supervision required for safety. In no event shall Stronglite be liable for any special, indirect, consequential, incidental, exemplary or punitive damages or costs. The warranties set forth herein are the sole and exclusive warranties provided by Stronglite. There are no other warranties, representations or guarantees provided by Stronglite either expressed or implied, including warranties of merchantability and fitness for a particular purpose. within terms or the prices will revert to regular price. • You will be notified of price changes in advance whenever possible.